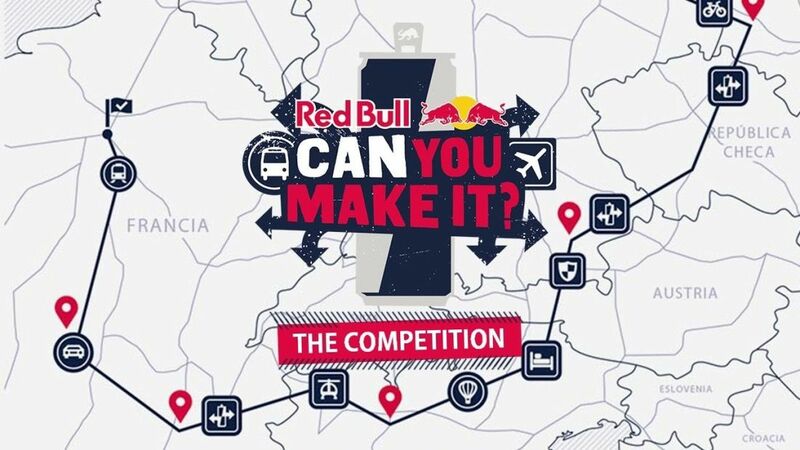 Have you heard about the ‘RedBull: Can You Make it?’ Competition yet? The popular company is holding the next installment of their annual contest between April 10th and 17th 2018. The student based teams are made up of 3 contestants, from all over the world. The top 200 teams will be flown to a major city 1,100km away from the final point. They will have their personal belongings such as money and mobile phones taken and replaced with 24 cans of RedBull. The teams must treat the energy drink as their currency and barter the cans in exchange for food, accomodation, travel tickets, and anything else they may need. The teams must also aim to accumulate points by passing through different checkpoints located all over Europe. Each checkpoint will give the teams a set amount of points and an additional 24 cans which they can use. Each checkpoint also varies in points given, depending on how difficult it is to reach. They will also have a set of adventure challenges they can take part in along the way, like swapping cans for a ticket to the Opera. Each completed task will continue to strengthen their position and add points to their total. The final destination is Amsterdam which must be reached within 7 days. The team crowned the RedBull Kings and Queens with the most points at the end wins a holiday worth up to 8,500 per person. So the question is really: can they make it? So you might be asking: why we are writing about this in February if the competition is in April? Starting today, the teams’ application videos are online waiting for you to vote for them. There can only be one representative from each country and starting today the teams have just 6 full days to collect as many votes as they can. The deadline is next Tuesday 20th February 23:59pm, and each voter can vote once every 24 hours. Let’s have a look at the teams hoping to be chosen this year. 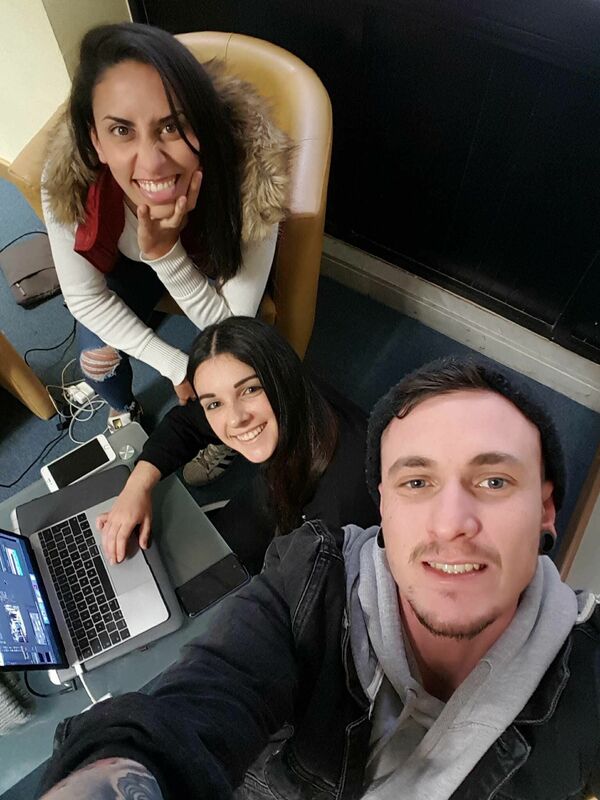 Group 1: ‘Saved by the Bull’ — Matthew Schembri, Jasmine Agius, and Nicole Cannataci. Jasmine and Matthew heard about the competition from a poster they came across at the canteen of the University of Malta (UoM). They knew that to complete their team of three nobody would complete them the way Nicole Cannataci would, with her background in Scouting. Nicole said she felt honoured when they asked, and said she was in it to win it. The trio are all extremely competitive individuals and all seem to have the same mind frame. They are working hard at letting Malta know who they are and look forward to being the chosen team. When asked about their fears regarding the competition, they comically said that the only thing they are afraid of is losing their RedBull cans as they would basically lose everything. Food and showers included! ‘Saved by the Bull’ are confident in themselves as they are three powerful personalities which when brought together add up to one unbeatable force. With a background in Sales, Engineering, and Camping they seem to have everything required for this competition as their strong suit. Vote for them by clicking here, and check out there Facebook group by clicking here. Group 2: ‘Zam’ — Michela Manduca, Zoe Louise Gatt, and Axel Grima. Zoe and Michela are both reading for a Bachelors in Fine Arts. They came across a flyer for the competition just a few days ago and decided to team up and ask Michela’s friend, Axel, if he would be interested in joining them. Of course, Axel was onboard. 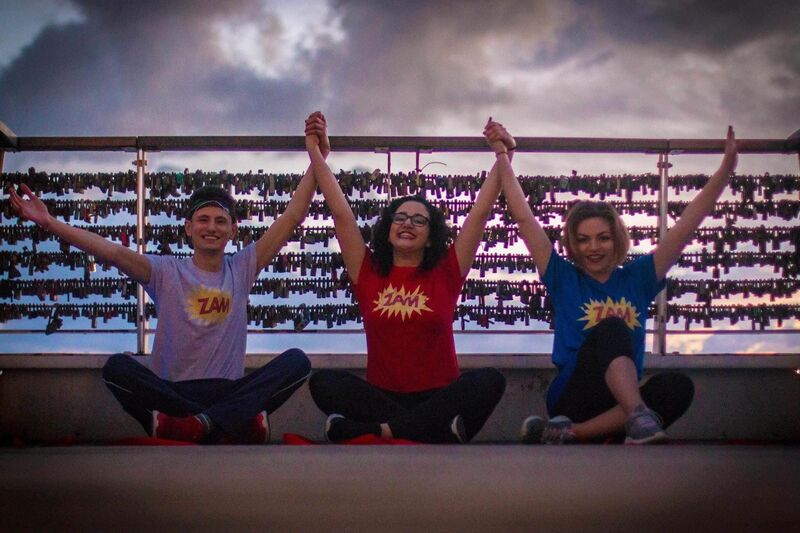 They got together and discussed ideas for their application video and actually printed t-shirts with their logo ‘ZAM can make it’ - a combination of the initials of their first names with a slight comic book effect. The next step was to get a videographer. Michela asked her cousin, Dylan Odom, based on his professional skills, and he was more than willing to help out. With regards to fears, the team doesn’t really have any prominent ones other than how they are going to travel from one location to another. Axel stated that hitch-hiking is the perfect mode of transportation as it helps you get to know people and learn from the locals. The other option to this is trains, which seems to worry the team as they are definitely expensive, and it’s close to impossible to convince a conductor to exchange RedBull for 3 tickets. Axel said that he will probably be doing the negotiating and believes that their good looks will help them tremendously. This trio has been hard at work over the past couple of days and has already made friends with teams from Canada, Brazil, Finland, U.S, Taiwan, and many more also hoping to make it to the starting point. They believe that with their friendly characters and Zoe’s social media talent they have what it takes to beat the other team. They also have Michela, who brings a calming factor and will remind the team to eat and sleep, to rise for another day feeling stronger than the day before. Vote for them by clicking here, or check them out on Facebook and Instagram.